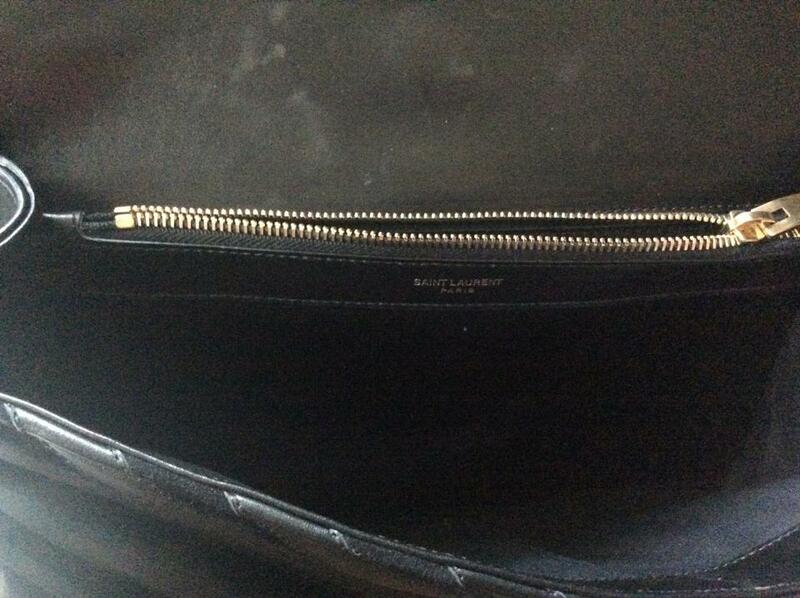 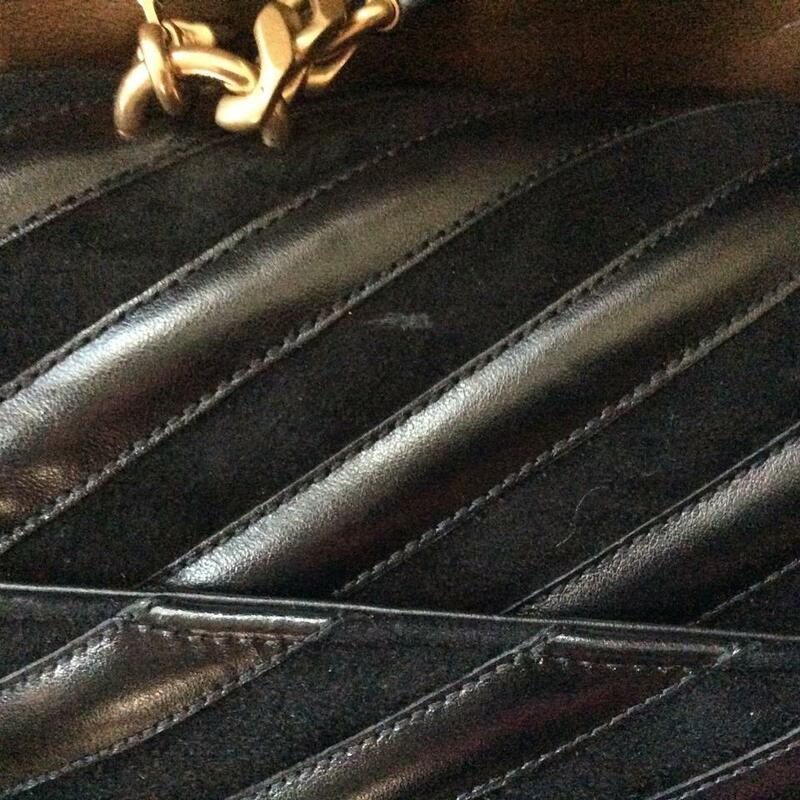 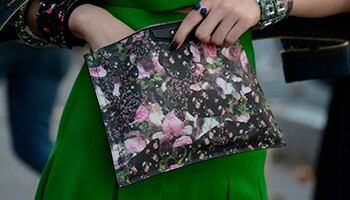 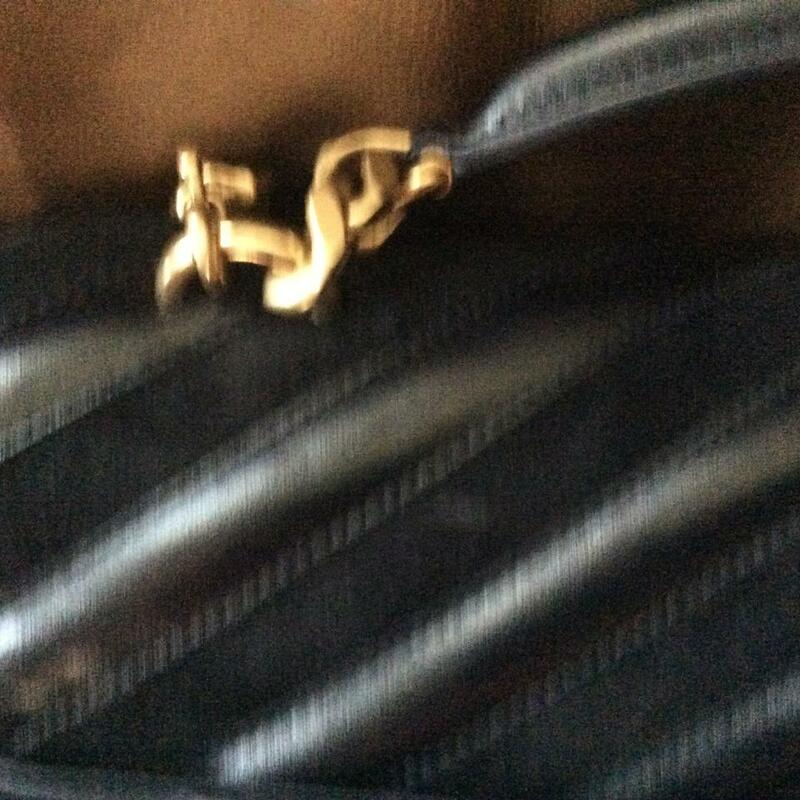 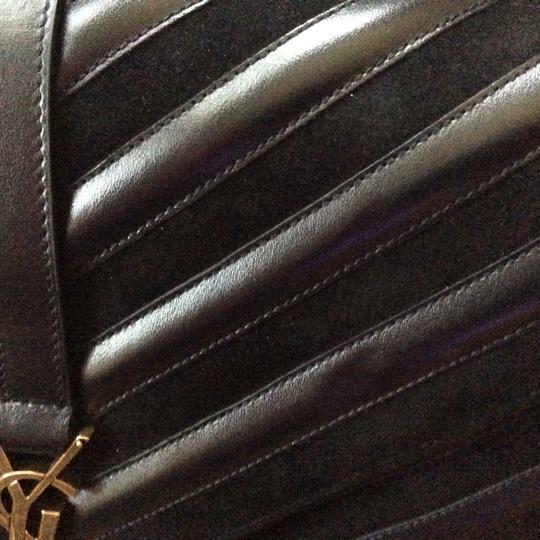 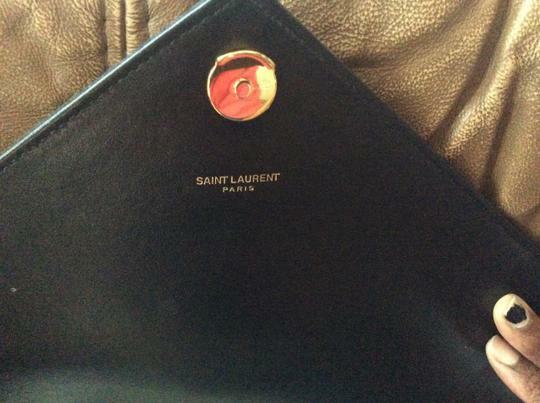 The bag has a few areas where the Suede is scratched, one area in front where leather is puckered. 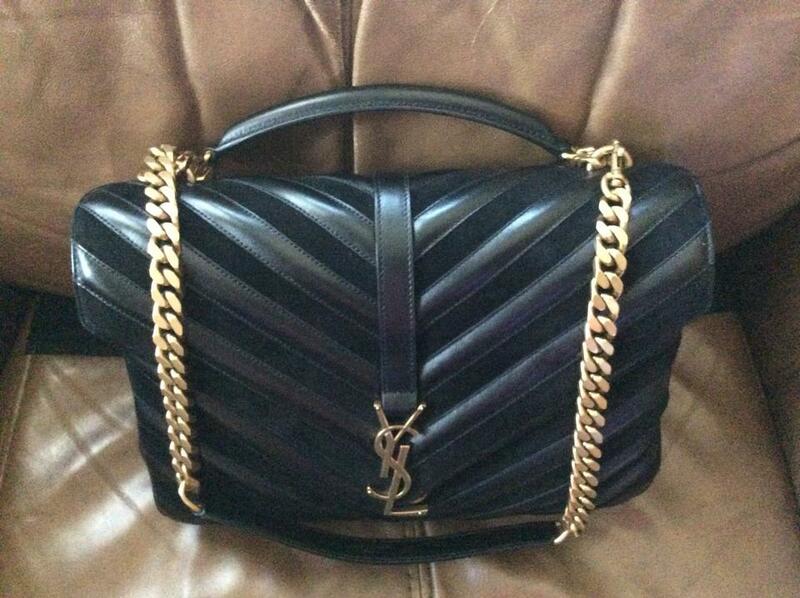 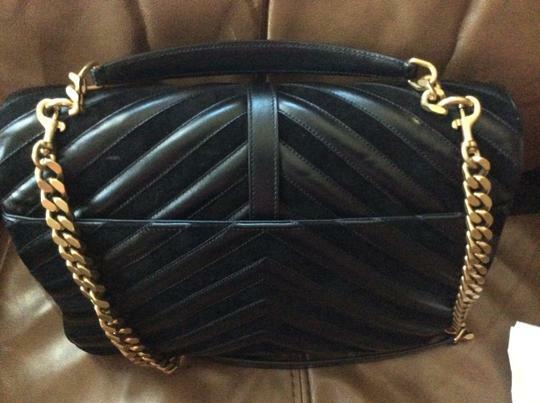 This Saint Laurent College Chevron Bag is very stylish. 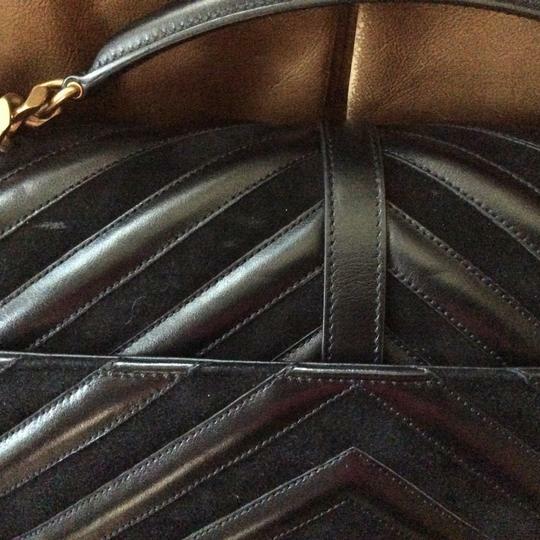 Suede/ Leather top handle, long removable shoulder strap, gold hardware, patchwork chevron pattern, inside slip pocket and zipper compartment. 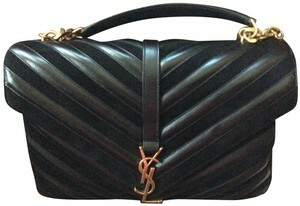 SC Listed by: Sonja c.